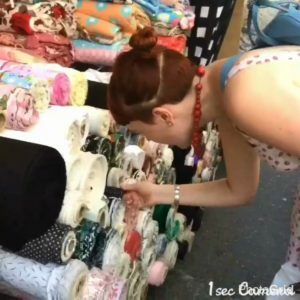 Social sewists | More blue fabric? Well my dears, it’s been quite a while since I dropped by here. Some of that is work related, as things have really stepped up a gear over the last couple of weeks, whilst some of it is much fun and sewing related (although, in fairness, my job gets to be pretty fun too sometimes! And now, for today’s main feature; Hong Kong fabric shopping! I was lucky enough to get to go to Hong Kong at the end of October. 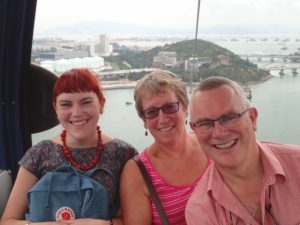 I went with my mum and dad, and had an absolute blast; we went to the Big Buddha, did a trip around some of the islands, went to the top of Victoria Peak, trawled the markets of Kowloon, rode the Star Ferry about thirty times (not enough times for my liking!) and generally ate and drank our way around a host of amazing places. 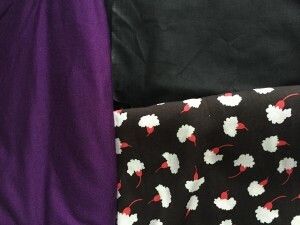 And of course, I managed to sneak in not one but TWO trips for fabric shopping. The first was an organised trip of the most wonderful serendipity. 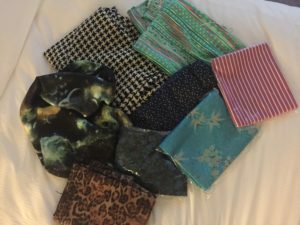 It turned out that the wonderful Vicky was in Hong Kong at the same time as me, and, probably unsurprisingly, was also interested in a spot of fabric shopping. 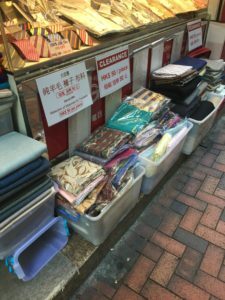 So, on the Thursday of our trip, along with my mum (and, much to his bemusement, my dad) we found ourselves in Sham Shui Po, probably the best area in Hong Kong for fabric shopping. Quite a few of the stores were wholesale, with an amazing array of coloured swatches hung up outside for people to take away and consult (I wanted to take the whole rainbow with me, but wasn’t sure what I’d do with one inch square pieces of fabric). Sadly, most of these places required you to order two to three days in advance of delivering the fabric, and coupled with my non-existent Cantonese it just wasn’t to be. However, we did manage to find a couple of shops that were more like the fabric shops I’m used to. My absolute favourite was an Aladdin’s cave of a shop where Vicky and I were constantly in danger of having the rolls come tumbling on to us (and, indeed, in once case they did….). 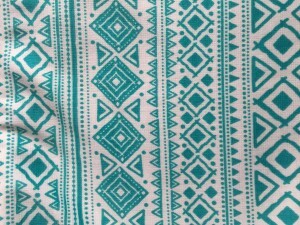 The shopkeeper added to the appeal, not least when, looking at my poor dad’s confusion about just why three women were going “oooh” at seemingly identical rolls of fabric, she offered him her seat! I came away with a couple of interesting pieces, none of which have yet been made up, but which will all be revealed in time. Then, the second trip was another act of serendipity. My dad had decided to get a suit tailored whilst we were in Hong Kong, and we were on our way to go and pick it up from the tailors. We came out of the metro and walked past another tailor. A tailor with a massive bounty; bags and bags of fabric, all neatly packaged up and all 50 HKD each. That’s a fiver. Five pounds. For high quality suiting and dressmaking fabrics. 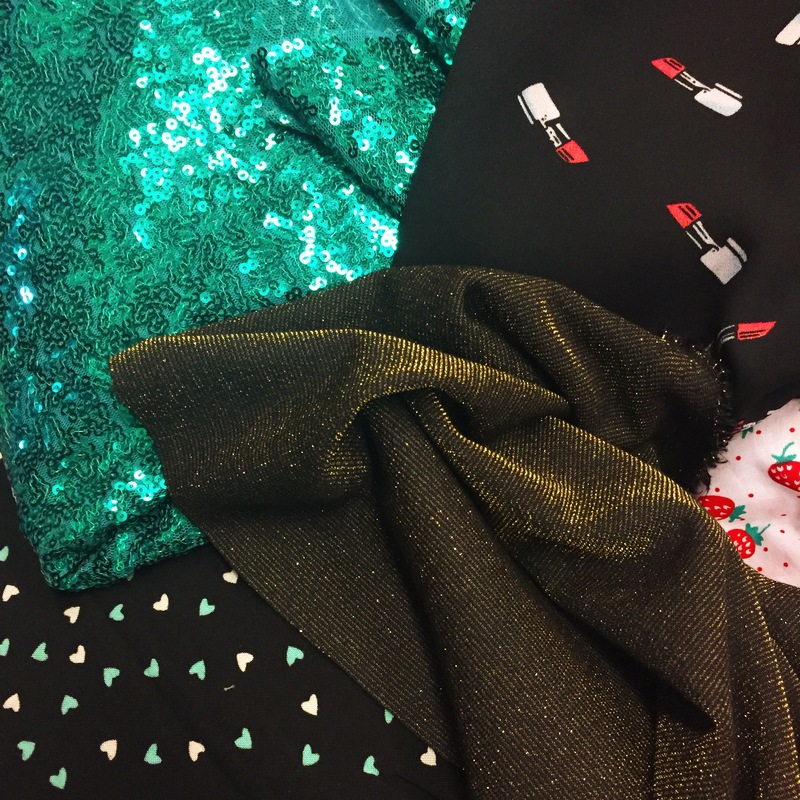 Needless to say, mum and I were on it like a pair of magpies, and I came away with some absolute beauties, including some blue Chinese silk brocade and leopard print sateen. There weren’t any guides as to how big each piece was, but I figured I’d at least get a top out of each piece. In actuality, each piece is at least two metres long meaning there’s some rather fancy dresses in my future. So there we have it; two really rather successful trips. Indeed, they were so successful that I couldn’t actually fit all the fabric in to my suitcase and had to put them in a second suitcase….. Thank goodness for Emirates’ 30kg luggage allowance! It might be time for me to admit I have a fabric buying problem as, as if buying a load of fabric and swiping winning a load in the stash swap at SewBrum, last weekend I found myself on a train to London at an ungodly hour* to meet up with some really rather lovely sewists and explore Walthamstow Market. 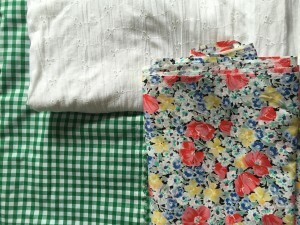 This week’s stash of sewists [and if that’s not the collective noun, it should be!] were all members of a group on the wonderful forum The Foldline. The group is united not just by our love of sewing but also by our age; we’re all 20-something sewers *cough* just in my case *cough*. When I finally got to London, the first thing that threw me was the wind. Literally. 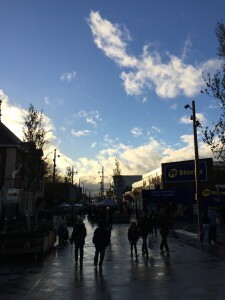 It was raining when I got out of the station to meet the others, so I put up my brolly. This turned out to be a bad ideas I turned the corner towards the meeting place, got grabbed by a HUGE gust of wind and thought I was going to be knocked sideways. Once I’d recovered I finally got to meet the lovely ladies who’d also made the journey; Dinushi, Jenny, Lucy and Laura (who also organised the day), as well as Laura’s fiancé who bravely came along in the face of the stash. 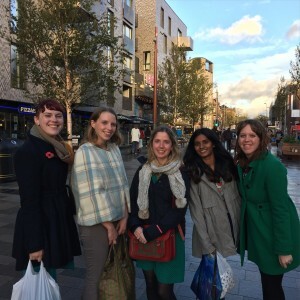 We headed off down to Walthamstow market, and there was no stopping us. We went into pretty much every store, stopping at every stall in the market en route. There was a lot of umming and ahhing and, a lot of enabling. 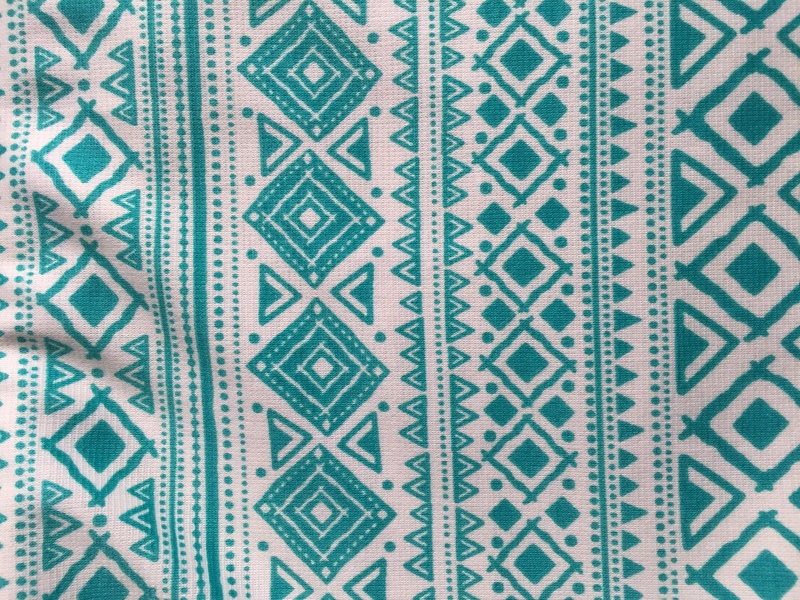 All it took was for one of us to go ‘but will I really use it?’ for the rest to say ‘ ah but you could maybe use it for this’ and come up with a load of reasons for them to buy the fabric. Enablers. The lipsticks will be a blouse, the strawberries (hiding just out of shot…) will be a summer a dress, the hearts will be a dungaree dress, the shiny gold jersey is for my new year’s eve dress and the green sequins are for a Christmas party skirt. *seriously, if you think I complained about having to leave home at 9:30 for SewBrum, on Saturday I left home at 8. With a hangover. Not fun. 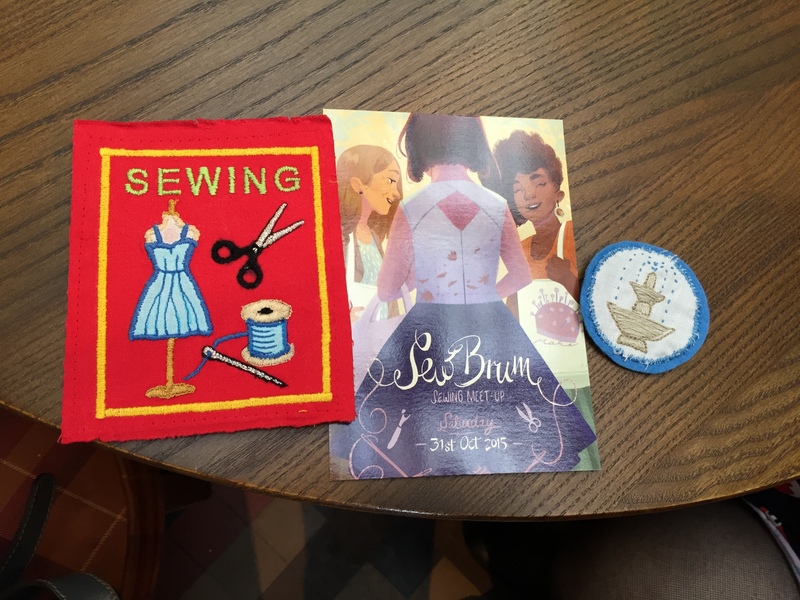 On Saturday I found myself leaving home far earlier than I usually would* and heading into town for my first ever sewing meet up. I had no idea how many people would be there or what to expect so it was with some trepidation that I climbed the steps up the museum and into the Edwardian Tea Room. With the exception of pictures, I don’t think I’d ever seen so many sewists all together and in one room. This picture captures maybe half of the people who were there? It was pretty crazy. 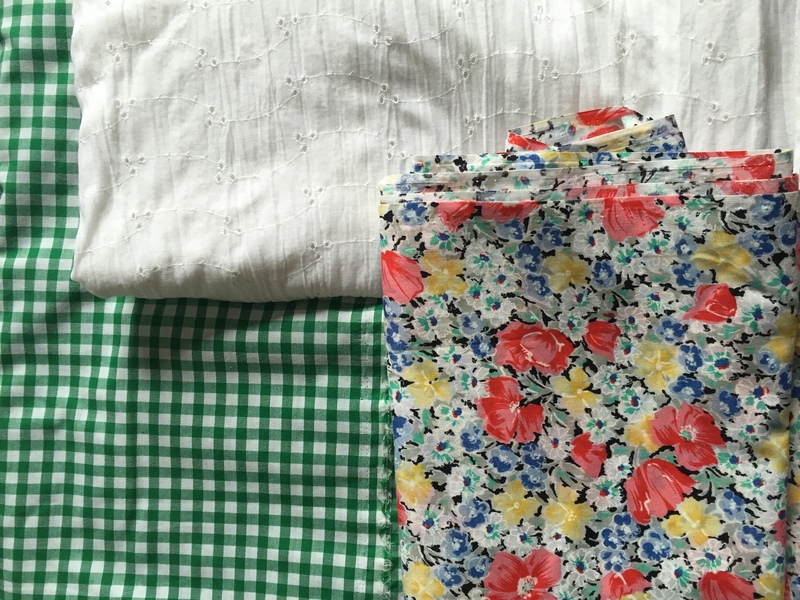 From the tea rooms we headed down to the Rag Market for a fabric spree. Despite Birmingham being my home turf, this was the first time in a very long time that I’d gone into the market. In my head it’s a bustling, busy place with too many options, leaving me to normally run away to a bricks and mortar shop instead. On Saturday though, armed with a very specific list of fabric I needed, I embraced the hustle and bustle and left no stall unturned. The market did not disappoint with three projects sorted for less than £20! 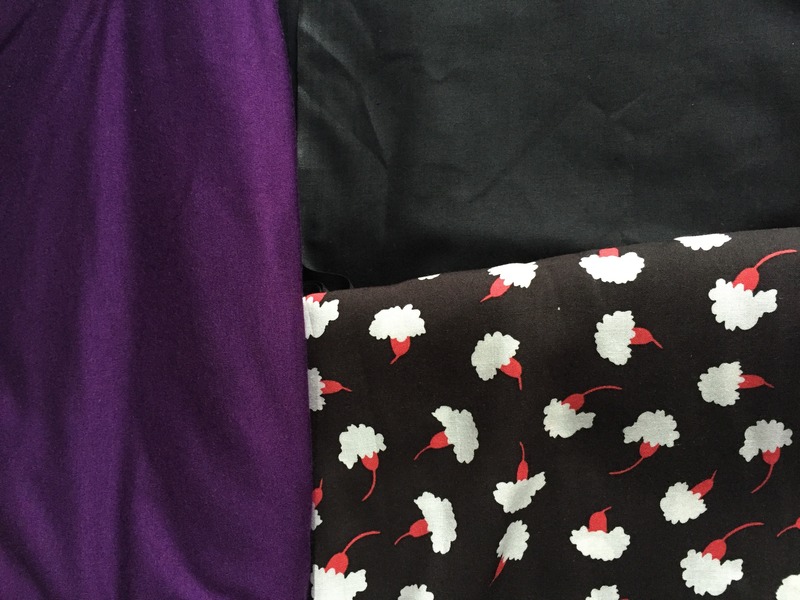 The purple is destined to be a long sleeved Moneta, the floral is for a Sewaholic shirt dress and the black is for a first mock up of the super secret project. The final stop of the day was Guthrie and Ghani, and if I’d thought that the tea rooms was busy, G&G was busier! I was talking to Lauren at one point and she said by her reckoning there were over 70 people there! It was a great opportunity to chat some more with the lovely people there, cross my fingers really hard during the raffle (no, I didn’t win the overlocker :'( ) and enjoy the lovely coffee and cakes. The best bit though? STASH SWAP! 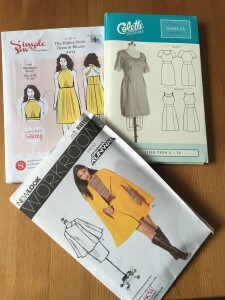 …a Simple Sew halterneck pattern, another cape pattern with matching skirt and, amazingly, an UNUSED Colette Dahlia pattern. The generosity of people clearing their stashes is amazing, I was bowled over by what was on offer! Speaking of generosity, the lovely Caroline of CJ Made gave me a piece of the gorgeous Girl Charlee jersey she won in the raffle. PLUS look at the merit badge I got in the swap! And after all that I went to a party in the evening. 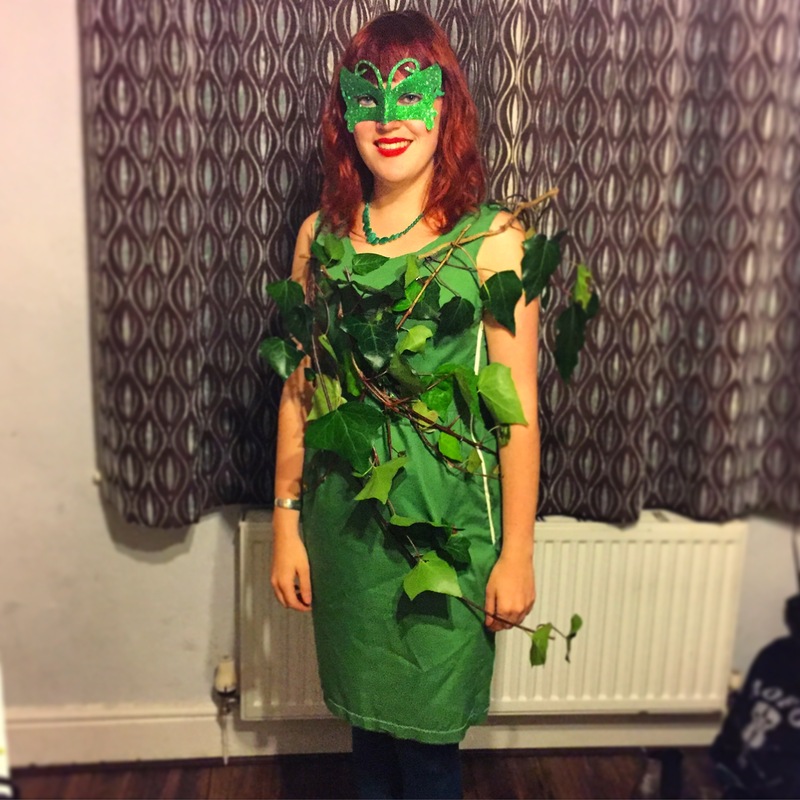 As promised in my last post, here’s a picture of the Poison Ivy costume in all it’s glory. 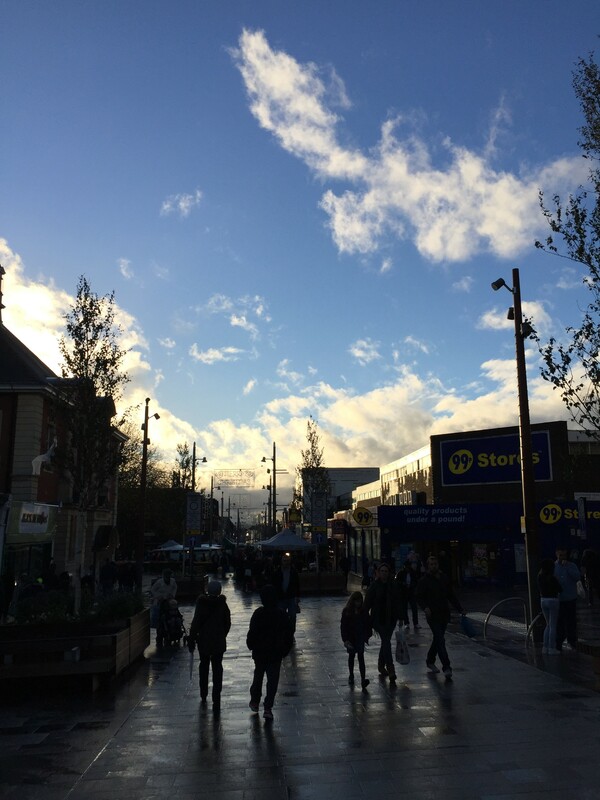 I was pretty pleased with, but I didn’t half feel silly roaming the streets of Moseley on my way there…. Phew! All that’s left for me to say is a MASSIVE thank you to Charlotte of English Girl at Home for organising Saturday’s event. 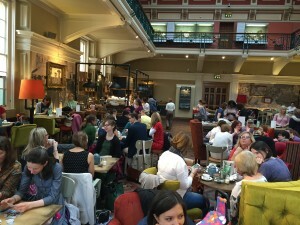 I had an amazing time and it was fab to meet so many other like minded sewists. Absolute blast of a day. 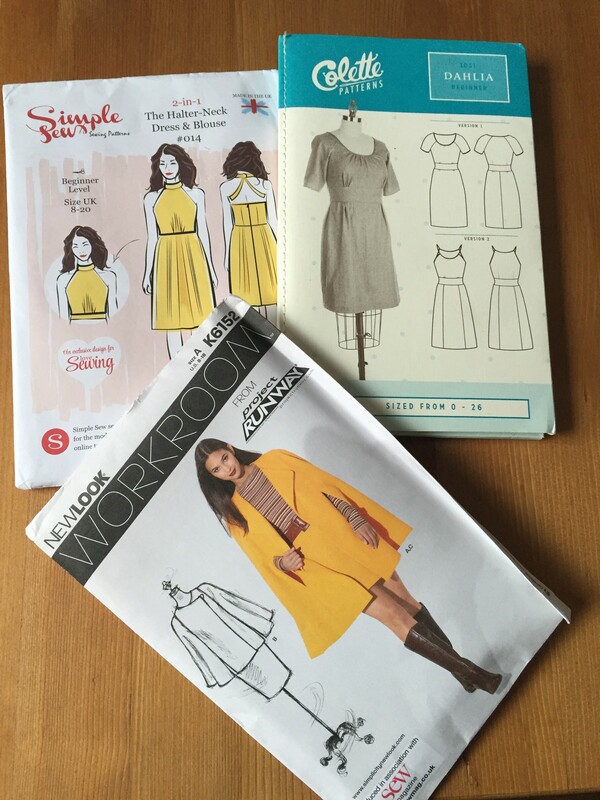 Roll on Sew Brum 2016!